In literary Analysis writing, it is crucial to study and understand fully the text of a piece. One recommended conceptualized approach is an easy technique to employ. I call this strategy, fractional analysis. Operationally used in my exposition, Fractional analysis is studying the fictional work by components in order to comprehend the whole meanings of a specific work in written forms where reading intervention plays a vital role. This ingenuity is unconsciously alluded with Bauer (2011)'s "Well Trained Mind" where she asserted that there should be a great understanding of the texts to be able to understand the techniques employed for effective literary understanding when students are able to recognize or classify through intensive reading. In addition to that, Pope (1995) who wrote his book, "Textual Intervention: Critical and Creative Strategies for Literary Studies" says that Interpretation of texts always entails interaction with texts. He discloses that the best way to understand how a text works is to change it or play around with it. He claims that this exercise applies to various levels of literary study. In conjunction with this part-by-part analysis concept, the knowledge of literary terms is a fundamental tool in the writing tasks. It expected that the students possess enough knowledge in literary elements such as allusion, symbolism, conflicts, characterization, point of view, tone, imagery, theme and settings among others to succeed. In addition, the satisfactory knowledge of the literary genre and literary techniques are primarily needed components in performing this introduced scheme. The method introduces and aids students to perform simplified written literary analysis by components that can be used for formalistic literary analysis. It also involves reading comprehension levels in literary texts by engaging with literary genre, literary elements or literary techniques or devices. This has been conceptualized to find solutions for the difficulties of students in reading and in writing by the introduction of simplified stages in approaching literary works as tool kits for learning. To impart this, the teacher fundamentally introduces the elements of literature known as literary devices. To perform this writing style, the students are tasked to identify the literary genre of the input such as poems, essays, biographies, short stories, novels, legends and tales among other genre that are widely used. The teacher individually explains the elements that are used by writers in expressing their ideas in a passage. While it is true that we cannot wholly digest a work of literature, the elements identifies will support one's understanding about the works; exploring the work by extracting element by an element guides students in grasping the major thoughts of the literary piece. 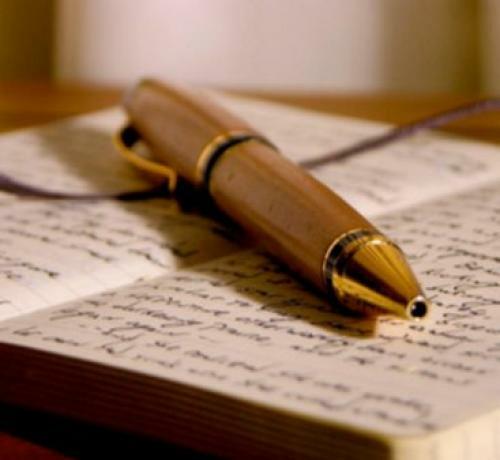 The literary writing procedures are initially made possible through the intervention of reading. It is understood that students who are going to use this innovative technique should have acquired sufficient academic subjects in introduction to literature with literary analysis and criticisms backgrounds to produce desired learning outcomes. Furthermore, introducing literary analysis among second language learners require abridged technique such as this method. Students with limited language and vocabularies will encounter comprehension difficulties because reading to them is a complex process manifested by their weak comprehension levels. Perceiving this practical method in the study of literature yields varied favourable characteristics worth proposing. It aids students' reading comprehension, establishes a crucial role of reading skills as a prelude to writing and speaking skills. In addition, it enables students to express interpretations orally or in written form and allows the students to use textual intervention through manipulating the advanced knowledge of the language independently. Other than that, it determines the importance of textual intervention in literary analysis and infers that literary text can be approached by fractional components to synthesize ideas. This method builds a closer link among textual interventions, knowledge of the language and literary analysis in appreciating, understanding and expressing thoughts of literary works. Furthermore, it allows teachers to innovate further strategies out of this presented concept. Likewise, it shares a creativity to the awareness which have been previously introduced globally to college and university students to straightforwardly experiment on varied forms of literary writing to broaden students' knowledge in language and literature. Besides, this approach encourages individual reading for the viability of critical thinking. Furthermore, it practically employs dimensions of reading that links to the employment of collaborative learning and augments vocabularies for the freedom to discover the structures and forms of the language. Intervening with the text is a prelude to literary analysis.as J. Davis (2014) explains that intervention cannot take place without the students' knowledge of the elements of literature. It is the knowledge of students towards literary elements that gives them the freedom to intervene in order to express their understanding towards a reading text. With their knowledge of the literary elements, devices, techniques and genre of literature, the readers are guided to further absorb knowledge of which they are going to express in written forms through a system called, fractional analysis.